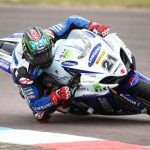 The FIXI Crescent Suzuki team has signed Blake Young to ride its GSX-R1000 in the Sept. 29 Laguna Seca round of the World Superbike Championship. Young will ride in place of Leon Camier who was injured in a crash at the Istanbul Park round in Turkey. 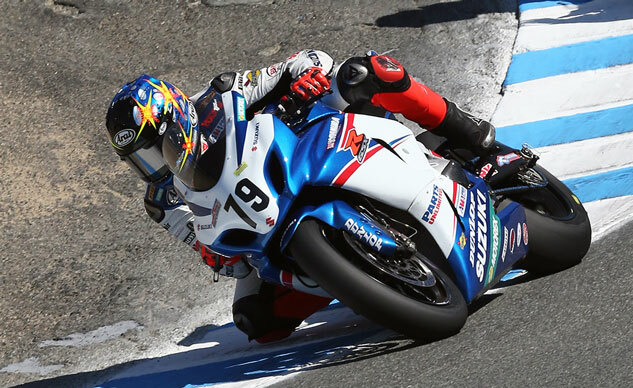 Young has been one of the top AMA Superbike racers over the last few years, finishing second behind Josh Hayes in the 2011 and 2012 seasons for Yoshimura Suzuki. Despite winning ten races over those two seasons and finishing off the podium just five times in 34 races, Young was shockingly left without a ride for the 2013 season. Instead, Young has been helping out with the Attack Performance Racing team in its wild card efforts at the U.S. MotoGP rounds. But after Camier broke several bones in his right foot at Istanbul, the FIXI Crescent Suzuki team saw a good fit in Young. 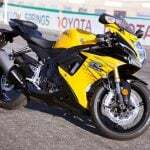 The 26-year-old native of Madison, Wis., is familiar with both the GSX-R1000 and Laguna Seca which is making its return to the WSBK calendar this year for the first time since 2004. Few other riders in the WSBK paddock have much experience at the track famous for its Corkscrew at turns 8 and 8A. “I’m really excited at the prospect of riding for FIXI Crescent Suzuki and I can’t wait to ride the bike,” says Young. “It was a surprise to get the call, but it will be great to go back to Laguna Seca, especially on a World Superbike – it’s a bit like a dream come true for me and made even better that it’s a Suzuki. Camier is also expected to miss the Oct. 6 round at France’s Magny-Cours but may be back for the season finale at Spain’s Jerez circuit on Oct. 20.